Smartphones powered by Android were collecting data on their owners’ locations even if service was turned off. Smartphones powered by the Android operating system are collecting data on their owners’ locations and sending them back to Google when they’re online, the media are reporting. This is happening regardless of if the users have actually turned location services on or off. Quartz reported that since the start of 2017, Android smartphones have been gathering info on the location of nearby cellular towers, and sent the data back to Google, without their users’ unequivocal consent. A Google spokesperson has confirmed these claims. The data was added to a system used to manage notifications and messages. The spokesperson also said the data wasn’t being stored indefinitely and that the company will terminate the practice. Google explained that it started using Cell ID codes to speed up message delivery. “However, we never incorporated Cell ID into our network sync system, so that data was immediately discarded, and we updated it to no longer request Cell ID,” Google explained. Location tracking via one tower can determine a relative, but not definitive position of a device. That can be achieved through multiple towers. This practice is potentially hurtful for all those wanting to stay out of sight, like victims of domestic violence. 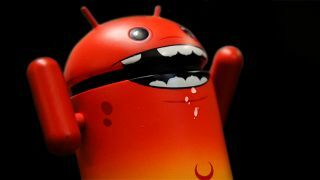 According to Quartz’s findings, the location tracking did not appear limited to particular Android phones or tablets. It says Google was apparently collecting cell tower data from all modern Android devices.